Sheet masks are different from your at-home facial masks treatments. They don’t involve exfoliation or deep cleansing. Instead, they actually are more calming, hydrating, moisturizing, and brightening. Plus, they are quite relaxing, too. If you have dry skin, however, you want to be extra picky with your sheet masks. While they are generally hydrating, you need to find one that can provide extra hydration to minimize the dry patches and rough texture on your skin. With that, allow us to share with you the best sheet mask for dry skin. Neutrogena Hydro Boost Moisturizing & Hydrating 100% Hydrogel Face Mask is on top of our list for obvious reasons. With its 100% hydrogel material, it’s able to hold up to 50% more essence than other face masks. That means extra hydration for your dry skin. The face masks are loaded with purified hyaluronic acid. This ingredient is known to help maintain the skin’s natural moisture. Using them regularly should keep your skin moisturized, hydrated, supple, and plump. Despite the awesome hydrating properties of the masks, they aren’t greasy. There’s no need to worry about feeling sticky after. 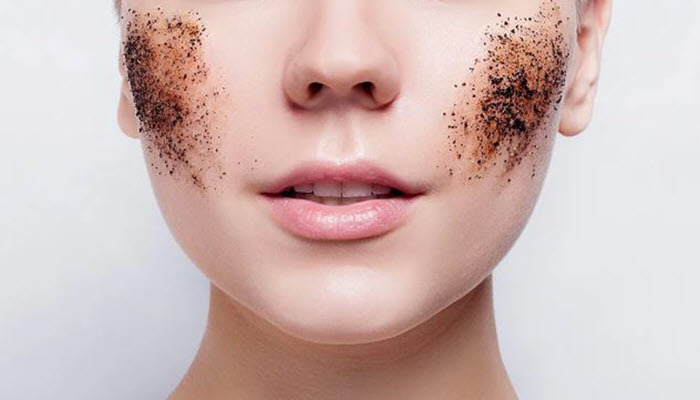 It won’t affect the way you apply your foundations and BB creams as well. One of the things you might not like about this product is that it’s a bit messy to apply since the serum is a bit drippy. However, that’s not totally a bad thing as more serum means more product to quench your skin’s thirst. 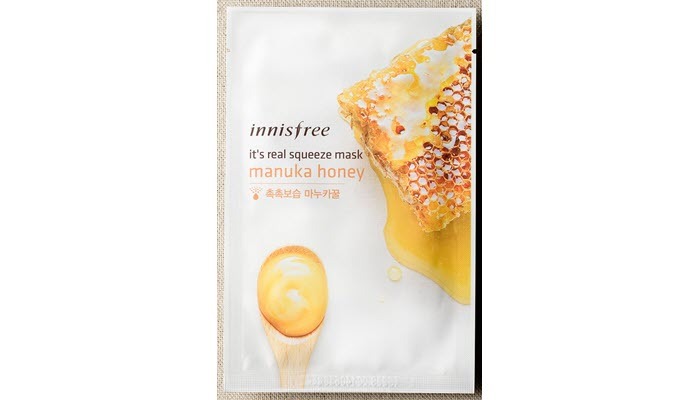 Next on our list is Innisfree It’s Real Squeeze Mask. This one is formulated with a lot of ingredients your skin will surely love. For one, it has cucumber and bamboo which are both known for their moisturizing properties. It also has green tea which contains potent antioxidants to protect your cells. It has Manuka Honey, too. It offers anti-inflammatory and antioxidant benefits. The mask is thick and sturdy. It won’t split or crack easily during application. As for the essence, it has this watery-to-gel like texture that feels so cool and refreshing to the skin. LA PURE Snail Regeneration Korean Facial Mask is a good choice for those with dry, aging skin. This one has snail secretion filtrate which can help repair and rejuvenate the skin. As a result, your skin will experience faster regeneration. 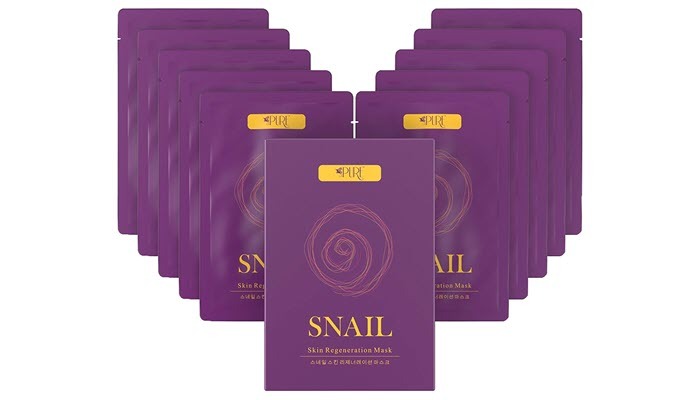 Snail secretion filtrate is also loaded with elastin and natural collagen which help tighten the skin. And with hyaluronic acid, you can expect to have a brighter and glowing skin after use. The masks are made with 100% cotton. They are free from paraben and alcohol which means that they are less likely to cause skin dryness, itching or irritation. Take note that the masks do have fragrances. So if you have sensitive skin, you should test the masks first to see how your skin will react. 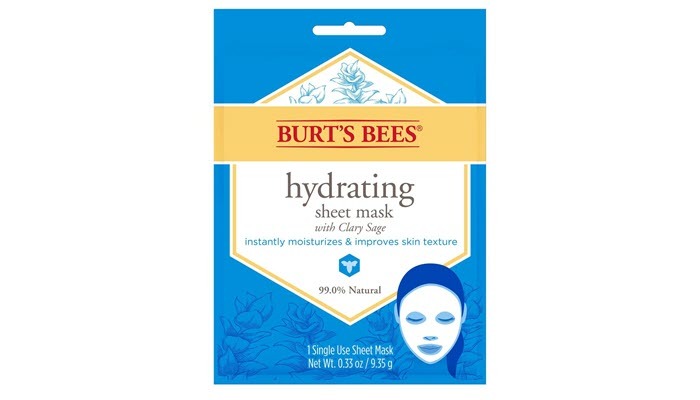 Our budget-friendly option is Burt’s Bees Hydrating Face Mask. It’s formulated with a botanical blend of flowers and clary sage which help promote a healthier complexion. This single-use face mask is made with 99.5% natural ingredients. This means that even those with sensitive skin won’t have issues using it. The mask has also been dermatologist tested for your safety. At one look, you might think that applying sheet masks is easy. While that’s true, not everyone knows the right way to apply them. And as a result, most people fail to get the most out of the products they use. To make sure you get your sheet masks intended effects, here’s the correct way to apply the best sheet mask for dry skin. First, you want to start with your skincare routine. Cleanse your face and exfoliate to make sure that there are no dead skin cells to prevent your skin from absorbing the serum from the mask. Next, with clean hands, open the packaging and unfold the mask. Position it over your skin. Smooth the mask to fit the curves of your face. Gently adjust the mask over your eyes, nose, and mouth. Leave the mask on for about 10 to 20 minutes. You don’t really have to wait for the mask to completely dry on your skin. You want your skin damp with the serum. After removing the mask, discard it right away. Massage the remaining serum on your skin to allow complete absorption. While it can be tempting to reuse your mask, particularly with so much serum left, that’s the last thing you want to do. Reusing sheet masks can introduce bacteria and dirt into your skin. That means increased chances of skin breakouts and infection. For the remaining serum, you can massage it over your neck and the back of your hands. 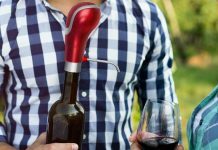 You can also transfer it into a clean bottle and save it for later use. Wondering how often to use the masks? Well, you can actually use it every day as long as you aren’t using a glycolic-acid containing sheet mask. Now, if you are acne-prone, you may want to avoid using sheet masks on a daily basis as it can be occlusive to your pores. For dry skin, go ahead and use your sheet mask to boost your skin’s hydration level. 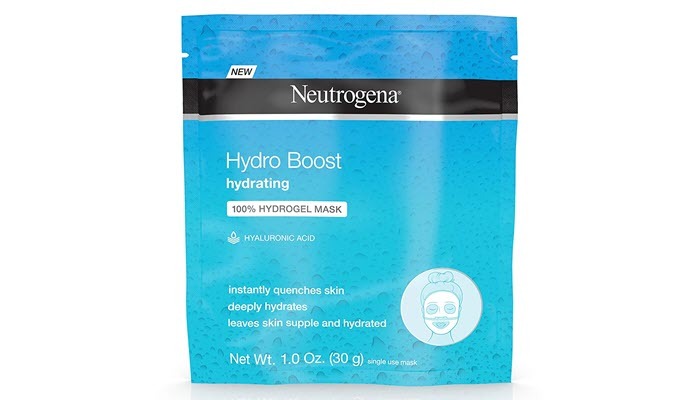 For the best sheet mask for dry skin, we chose Neutrogena Hydro Boost Moisturizing & Hydrating 100% Hydrogel Face Mask. It has a really good amount of hyaluronic acid which can keep your skin deeply hydrated, plump, supple, and younger looking. Now, to complete hydrate your skin, you may want to invest in a good body lotion. That way, you’ll be able to nourish your skin all over. And don’t forget to get a moisturizer for your skin type. Applying moisturizer after cleansing your face should help restore your skin’s moisture.